There are new concerns surrounding the future of the Humane Society of St. Lucie County. A newly hired shelter manager has handed in his resignation. The shelter’s Director of Administration, David Robertson, has not indicated who will be the replacement or what the plan will be in the meantime to maintain shelter operations. PORT ST. LUCIE, Fla. — There are new concerns surrounding the future of the Humane Society of St. Lucie County. A newly hired shelter manager has handed in his resignation. The shelter’s Director of Administration, David Robertson, has not indicated who will be the replacement or what the plan will be in the meantime to maintain shelter operations. Robertson also has not said why the now former shelter manager, Mike Jones, resigned. This comes as the latest shake-up at the shelter after ongoing concerns regarding conditions at the two shelter locations in St. Lucie County, and concerns about the financial stability of the Humane Society of St. Lucie County. “It seems like it could go upside down at any second,” said Fort Pierce City Commissioner, Jeremiah Johnson. At a city commission meeting Monday night, Johnson said it seems there is now a need to start talking about a backup option to the Humane Society of St. Lucie County to handle animal services. “What is our plan? That’s the biggest thing, us being prepared,” Johnson said. The City of Fort Pierce and St Lucie County have both expressed concerns over the results of an inspection at the Glades Cutoff Road location in September, which found various violations in conditions, euthanasia procedures and staffing. Concerns about finances for the shelter also emerged, prompting Fort Pierce and St. Lucie County to refrain from making annual, lump payments to the shelter. Instead, both make monthly payments and request monthly financial statements from the shelter. A couple months, so far, show growing debt. Animal advocates like Terri Walden are urging the City of Fort Pierce and St. Lucie County to act int he best interest of the animals, especially given the latest resignation. 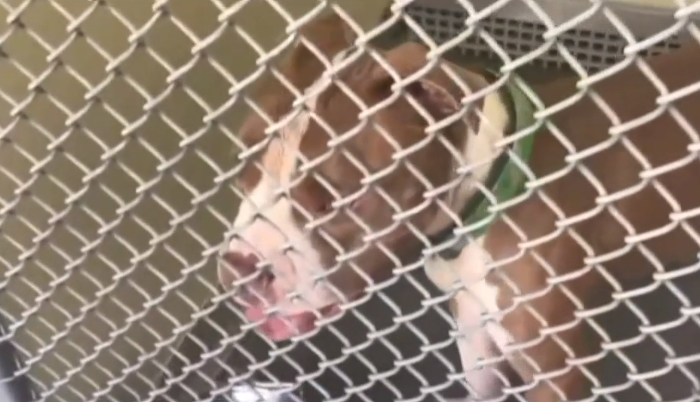 “Leaving two shelters and over 400 animals without shelter management,” Walden said. She thinks the city and county spending their money with the Humane Society of St. Lucie County is risky. Fort Pierce City Manager Nick Mimms said the city is still working with the Humane Society of St. Lucie County to try to resolve any issues. “We are working with the humane society. Now, I’m not going to say we’re making great progress, but that is their task right now,” Mimms said. Mimms is meeting with county leaders and Port St. Lucie city leaders later this month to touch base about Humane Society concerns.